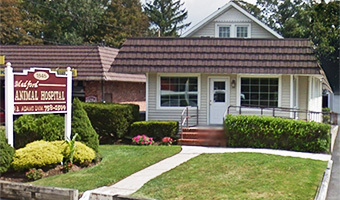 Medford Animal Hospital - Medford, NY - Veterinarian serving Medford, Patchogue, Holtsville, Farmingville, and all surrounding areas for 30+ years. Founded in 1987, Medford Animal Hospital has long been a center for premium veterinary care. 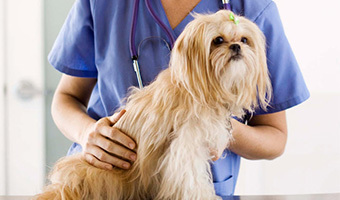 We pride ourselves on our commitment to excellence in veterinary medicine. Dr. Richard B. Adams and his staff provide comprehensive preventative, medical, and surgical care for your pet, and do their best to keep your pet happy, healthy, and comfortable. His daughter, Dr. Jessica Adams, has also joined the practice to help provide the extraordinary and compassionate care your pet deserves. Serving Long Island's Medford, Patchogue, Holtsville, Farmingville, and all surrounding areas for over 30 years! We pride ourselves on our superior level of care. As a client of Medford Animal Hospital, you can expect a personal level of service, respect, and honesty. Call or visit us today to schedule an appointment for your pet, whether it be for a specific ailment or just to ensure and maintain your pet's health.